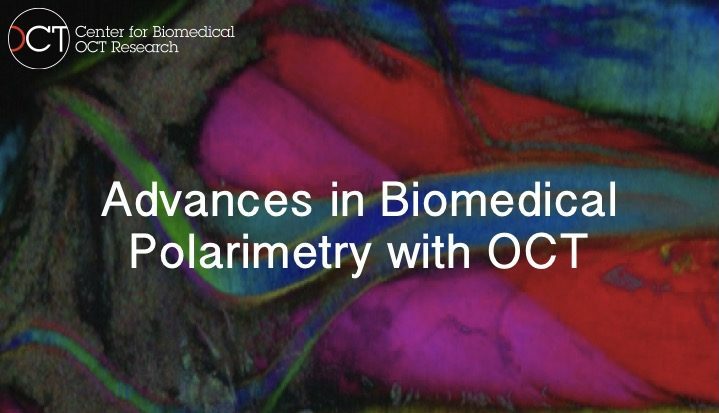 The Center for Biomedical OCT Research and Translation (CBORT) is hosting a one day symposium, Advances in Biomedical Polarimetry with OCT. The program is designed to provide an understanding of the latest PS-OCT instrumentation and signal processing techniques as well as present the use of PS-OCT in numerous biomedical application areas. Faculty specializing in OCT polarimetry techniques have been selected to present on the state-of-the-art in the field and the meeting will bring together an interdisciplinary audience of engineers, physicists, biologists, clinicians, business people and trainees from around the world. Through this interaction, we aim to foster the advancement and translation of PS-OCT technology.